We very much appreciate your contribution to Project HELP. Each and every gift is an investment in the safety and healthy development of a child. Together we can offer quality services that truly empower parents, nurture families and strengthen our community. 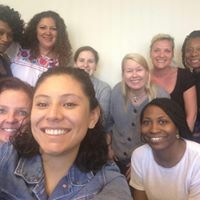 Your contributions to support Project HELP’s work, both monetary and in kind, are tax deductible through YWCA Metropolitan Chicago, a 501(c)3 tax exempt, non-profit organization. Project HELP welcomes volunteers, whether you are a parent or not, who can appreciate the unique challenges of parenting and are willing to share their time, talent, and resources to help us empower parents, nurture families and strengthen our community. Whatever your skills, interests, and availability, there will be a volunteering opportunity for you at Project HELP. Please submit an Volunteer Interest Form. This is a general interest application; upon completion of this form, you will receive a call from our Volunteer Specialist regarding our specific volunteer opportunities that match your skill-set and interests. Please note that we may not always have an opportunity available in your top area of interest. More information will be provided after the completion of this interest application. Discover the joy of giving of yourself and your time, become a part of our Project HELP team today. Together we can empower parents, nurture families and strengthen communities. If you are interested in becoming a Project HELP volunteer and/or would like further information on volunteering opportunities, do not wait!